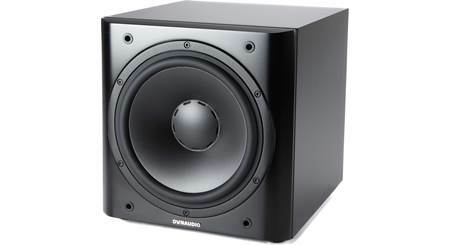 At first glance the Dynaudio Sub 3 may look like an ordinary subwoofer. By buying this product you'll earn up to 1800 Rewards points. 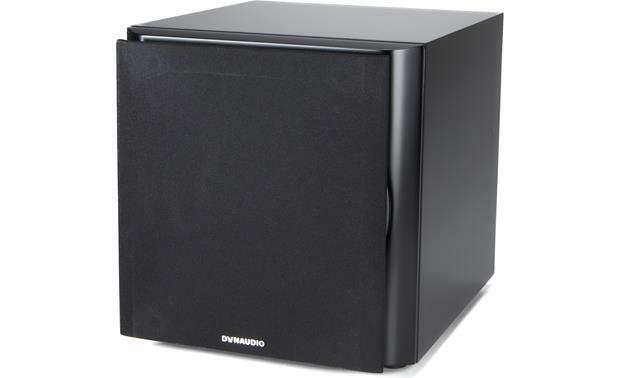 At first glance the Dynaudio Sub 3 may look like an ordinary subwoofer. But inside this compact enclosure lies a wealth of high-end speaker technology that helps it create powerful, seamless bass without standing apart sonically from your other speakers. The Sub 3 is designed to complement Dynaudio's suite of bookshelf and floor-standing speakers. 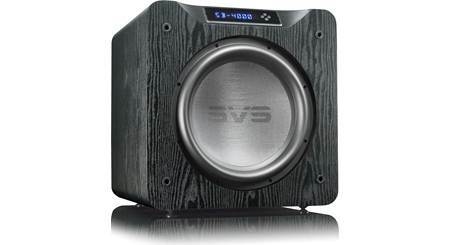 It's an ideal choice for accurate, hard-hitting bass as part of an elite stereo or home theater system. The Sub 3 features a variety of connection options for your system (shown in white satin). The Sub 3 was designed with sound quality in mind. Sure, it can shake the house. But this sub's forté is creating lifelike bass with precision, control, and finesse — all the way down to a staggering 22 Hz. This sub can provide delicate low-frequency details, as well as tirelessly pound out deep bass at high output levels with next to no distortion. You get the best of both worlds. The Sub 3's 9-1/2" front-firing woofer uses Dynaudio's Magnesium Silicate Polymer (MSP) cone material, which combines low mass and high rigidity. This design allows the woofer to respond quickly and accurately to the dynamic peaks in music or movie soundtracks. An MSP cone is molded in one geometrically perfect piece, which helps to optimize sound dispersion. It also eliminates the need for a separate dust cap, further enhancing the cone's structural integrity. The Sub 3's excellent sound is partly due to its meticulous build quality. Its driver assembly uses a combination of high-tech materials to withstand mechanical stress. And its double-thickness front baffle lends to unwavering performance during the most demanding passages. Some rooms call for more than one sub to achieve evenly distributed bass. The Sub 3's rear panel features a LFE out for daisy-chaining additional subs together without signal loss or degradation. There are also RCAs for running a high-pass-filtered signal to your receiver or amp's main inputs for connectivity — useful if you have an amp or pair of powered speakers that don't have a dedicated subwoofer output. 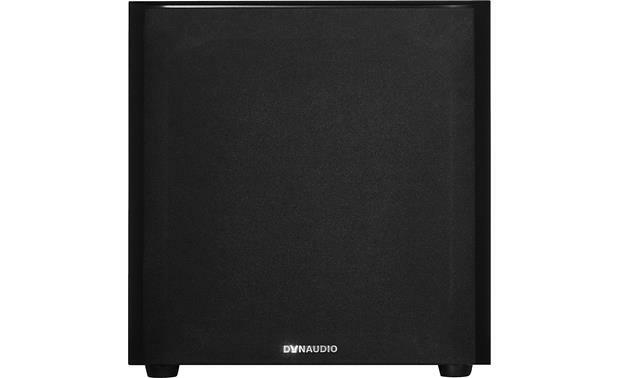 9.5" Long-Throw Woofer: The Dynaudio Sub 3 houses a 9.5" long-throw woofer with a MSP (Magnesium Silicate Polymer) cone, die-cast aluminum basket, and an aluminum voice coil for high power handling and high excursion with low distortion. 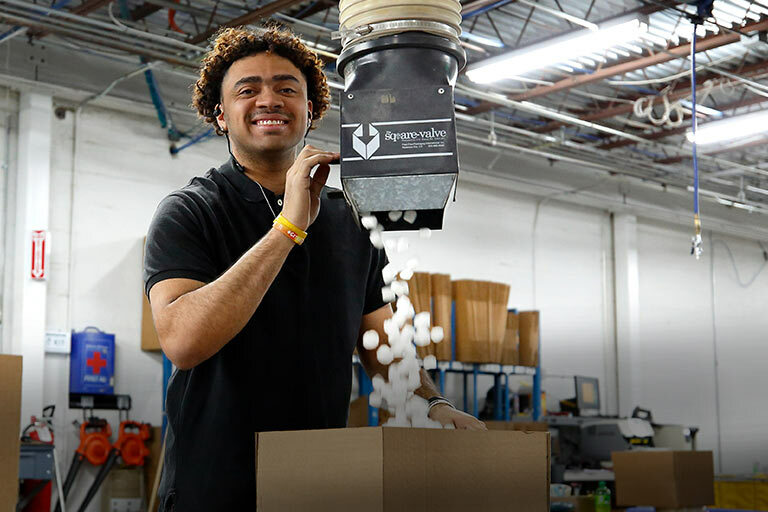 MSP (Magnesium Silicate Polymer): The woofer utilizes a proprietary composite of magnesium silicate polymer (MSP), a material that combines low mass, high rigidity, and ideal internal damping properties. Formed in a special manufacturing process, this membrane is a unique design with the distinctive, geometrically optimized form of the cone further enabling smooth sound dispersion. Die-Cast Aluminum Basket: The MSP woofer uses a low-resonance, highly warp-resistant basket made of die-cast aluminum. Due to the stiffness of this non-magnetic material, the basket can be designed with aerodynamically formed ribs to reduce air compression behind the moving membrane. Another advantage is its long-term resistance against thermal, mechanical or other external influences. Aluminum Voice Coil: By using an aluminum voice-coil instead of copper, it is possible to effectively double the coil's diameter without increasing its mass. Due to the thermal properties of aluminum, cooling of the voice coil is dramatically improved as well. 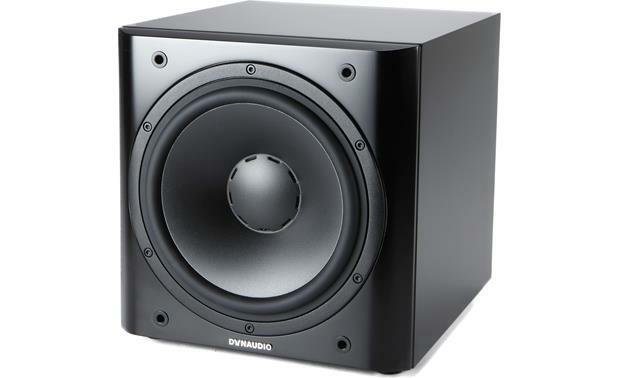 In combination with the equally light voice coil former and powerful magnet materials Dynaudio uses, cone excursion is much more controlled and the driver follows the music signal from the amplifier with greater accuracy. 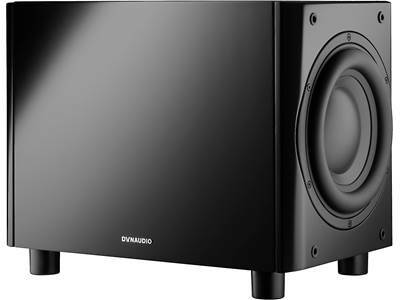 300 Watt Amplifier: The compact Sub 3 is the smallest high-performance powered subwoofer from Dynaudio and is equipped with a 300 Watt amplifier to deliver precise and dynamic bass for movie and music soundtracks. Sealed Rigid Cabinet: For increased accuracy and rigidity, the Sub 3 utilizes an acoustic suspension (sealed) enclosure with a double-thickness 37mm, curved front-baffle. The Danish tradition of craftsmanship drives the meticulous process of selecting the perfect enclosure for the custom woofer. The front-baffle are manufactured using CNC (Computerized Numerical Control) machining. Computer-programmed and controlled by ultra-responsive sensors, precision to within a single micrometer (ìm), multi-axial drilling machines produce the acoustically optimized baffle shape and unique design details. Additional internal damping, strengthening, and bracing in critical sections of the cabinet substantially reduce unwanted resonance. Controls: The Dynaudio Sub 3 offers a variety of rear-panel control to tailor the powered subwoofer to the rest of your speaker system. 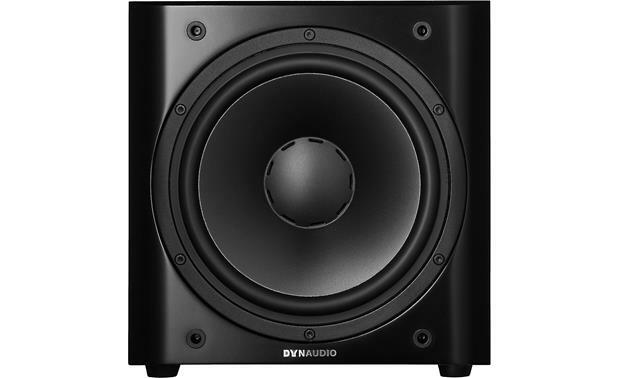 Gain: The Gain control adjusts the output level of the powered subwoofer relative to the volume of the other speakers in the system, so there is a smooth blend of sound between your speakers and the Dynaudio Sub 3. Low Pass Crossover: The built-in variable low pass crossover can be set between 50 and 150Hz. The low pass crossover allows the frequency range of the powered sub to be defined, so it only play frequencies at or below the selected cut-off frequency. The low pass crossover is only available when using the Sub 3's Sat/Sub input (does not affect LFE input). Phase Setting: The Sub 3's Phase switch can be set to 0° or 180°. With this Phase setting you can adjust the timing relationship between the subwoofer and main speakers. If either the powered sub or your main speakers are slightly delayed in response in relation to the other, it can result in decreased bass output in the frequency response area where they overlap each other. High Pass Filter: The Sub 3's Sat Output features a High Pass Filter which can be used to limit the amount of bass delivered to your main satellite loudspeakers. The High Pass Filter can be set to 60Hz, 80Hz, or Flat (full-range). 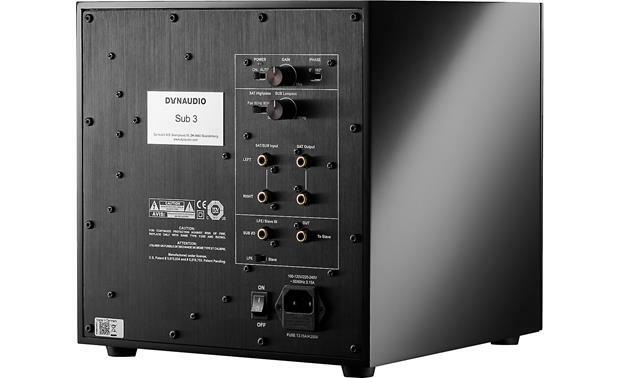 Inputs: The Dynaudio Sub 3 provides two different audio inputs - LFE Input (mono-RCA) or Sat/Sub Input (stereo RCA). LFE Input: The LFE input consists of a mono-RCA jack and allows the LFE (Low Frequency Effect) output channel of your AV receiver to be connected to the powered subwoofer for reproduction of bass and low frequency effects. The Sub 3's low pass crossover control has no impact on the LFE input. 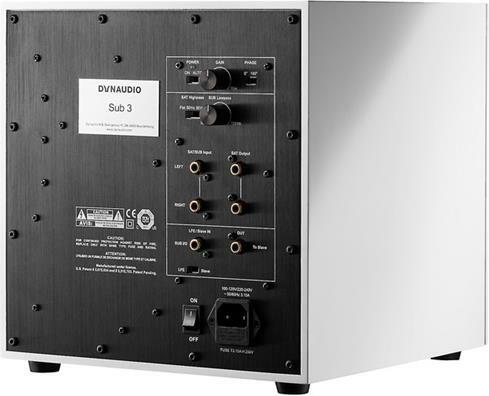 Sat/Sub Input: The Sat/Sub input consists of stereo jacks and allows the connection of full-bandwidth signal from your stereo receiver, integrated amplifier, or preamplifier. The Sub 3's low pass crossover control can be used to filter out high and midrange frequencies. Note: You can choose to make both connection type between your receiver or integrated amplifier and the Dynaudio powered sub. Both signal types (filtered and unfiltered) will be combined in the Sub 3. This allows the Sub 3 to reproduce both the LFE channel information, as well as the bass range of the connected satellite speakers. Outputs: The Dynaudio Sub 3 features a Slave Output for daisy-chaining multiple powered subwoofer and a Sat Output for providing bass management to a power amplifier and satellite loudspeakers. 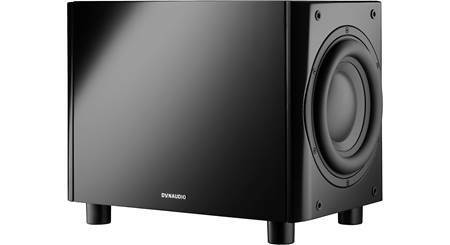 Slave Output: The Dynaudio Sub 3 can be used as stand-alone powered sub or together with multiple powered subwoofers, thanks to its Slave Output. The Slave Output consists of a mono-RCA jack which allows you to daisy-chain to another powered subwoofer's input. The Slave Output can be used with the Sub 3's LFE input or Sat/Sub input. The Master subwoofer will control the volume level of the Slave subwoofer. Sat Output: The Sat output consists of stereo RCA jacks that allow you to connect the powered subwoofer between your preamplifier and amplifier, so you can use the Sub 3 to apply a high pass crossover to your connected satellite loud speakers. Placement Options: Corner placement yields maximum bass boost, but potentially can cause uneven distribution of bass in the room. You can also place the subwoofer next to a wall, but away from the corner to provide adequate bass boost, but less than the corner placement. 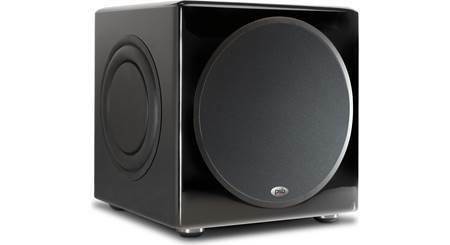 Placing the powered subwoofer away from the wall and corner will give the least amount of bass boost compared to wall or corner placement, but in general offers the best flexibility at achieving the most even bass distribution. Auto On/Off: The Dynaudio Sub 3 will switch on automatically when it senses an audio signal, and will automatically turn off when there is no audio signal for approximately 20 minutes. There is also a manual Power On/Off switch on the back-panel. Searches related to the Dynaudio Sub 3 Powered subwoofer.